Is The Surging Camaro Responsible For Slumping Corvette Sales? 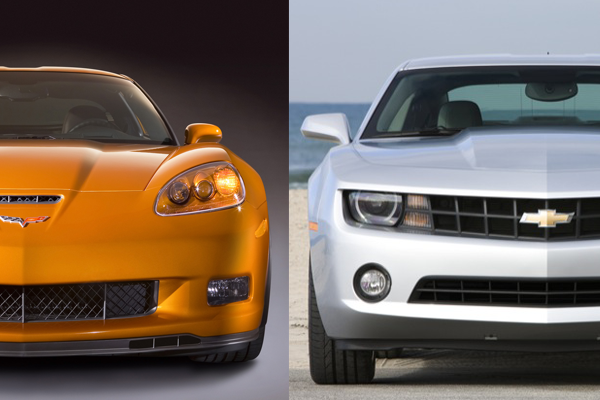 How many people would cross-shop a broad-shouldered ponycar and Chevy’s more athletic, more historic, halo car? Well, a lot apparently. Corvette deliveries have dropped a depressing 48.3 percent, from 26,971 units in 2008 to 13,934 in 2009. 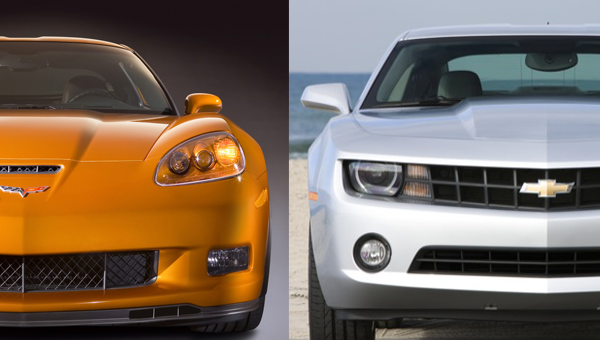 The 2010 Camaro, on the other hand, exploded in popularity and raked in 61,648 units last year, outselling the Mustang every month since its debut. The numbers alone tell us that the Corvette has taken a hit in sales ever since its brawny brother made a comeback. Ah, the smell of sibling rivalry is in the air. This situation tends to take place when there is an overlap between models. In this case, the overlap lies in the engine options, as both models offer the LS3 V8 powerplant; however, the Camaro SS kicks it up a notch by offering standard Brembo brakes, a back seat (sorta), and arguably much better looks – all priced at nearly $20,000 less than the base Corvette. That said, GM claims that the Camaro isn’t the problem at all, maintaining that the entire sports car category is in a slump – even with the LS3-powered Camaro SS versions outselling the V6 models 2-1 as of last November. A few obvious ways to avert this overlap issue entirely is to equip the base Corvette model with Brembo brakes, a more powerful engine, and a much needed refresh for a car that’s remained virtually unchanged over the past six years. If you want to hear more of our opinion on this matter, take a listen to last week’s GM Authority Weekly podcast , where we talked about this exact problem.